Make time for you--anytime, anywhere! As you go about your busy day, it's important to make time to catch your breath and recharge. My Pocket Yoga help you quiet the noise and achieve serenity at home, at the office, or even in your car--in mere minutes. Throughout your day, you'll be able to choose from 40+ breathing exercises and easy-to-follow poses, complete with illustrations. These quick yet powerful exercises allow you to be more mindful, increase your awareness, and find your center in any situation. After a quick break for a yoga pose or focused breathing, you can return to your to-do list feeling more balanced, centered, and refreshed. 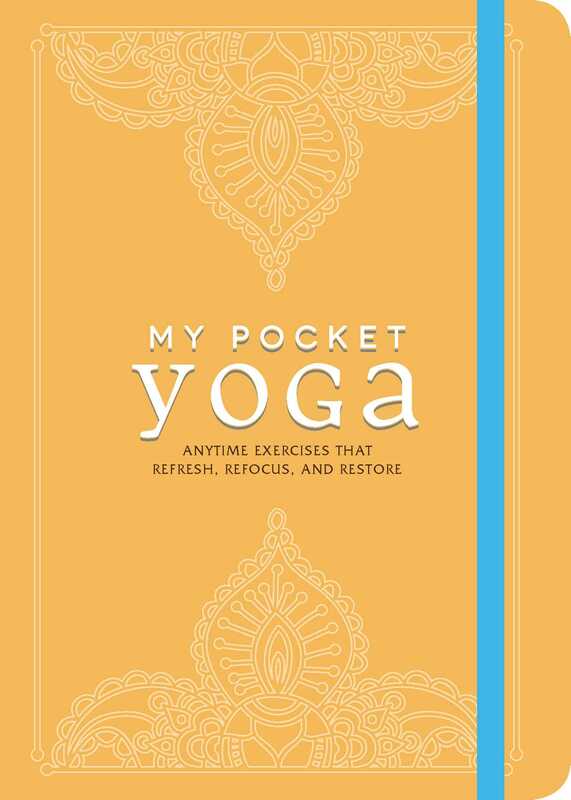 Say goodbye to distraction, and greet your daily challenges with a calm, clear mind--all you need is My Pocket Yoga. "I’ve been saying I want to get back into yoga and this is just the push I needed. This book demonstrates many different poses and also gives sequences for cleansing, relaxation, energy and fitness. The directions are easy to follow and I like the elastic strap to hold the book closed. I thought this was a great inclusion in a lifestyle box and was the first time Gift Izzy has mailed a book. It was a nice surprise to see something new."